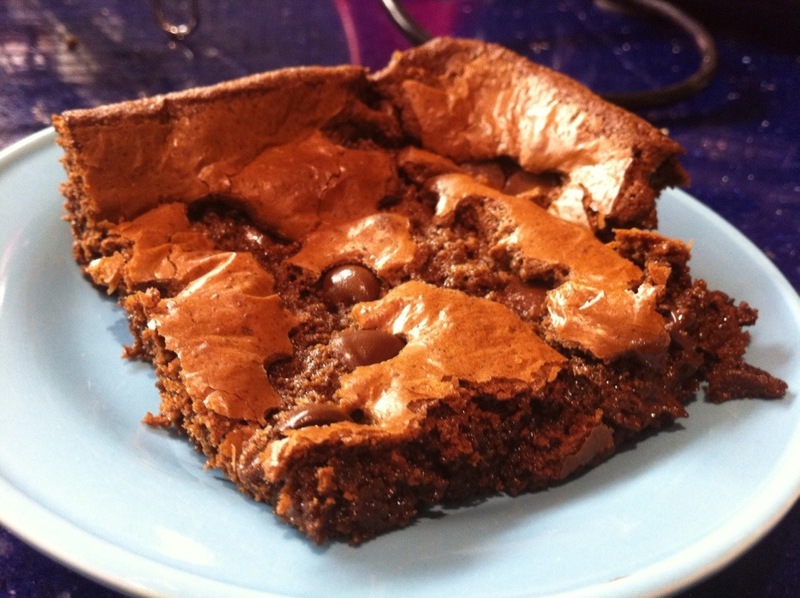 Ohhhhhhhh I have found my most favourite brownies of all time — and they are gluten-free! The lovely Nicole and I had a dinner and a movie night, and after dinner we wanted a little something sweet. I’ve had my eye on a dark chocolate brownie recipe from gluten-free goddess ever since I started eating gluten-free and it was a perfect night to try it out. Success! 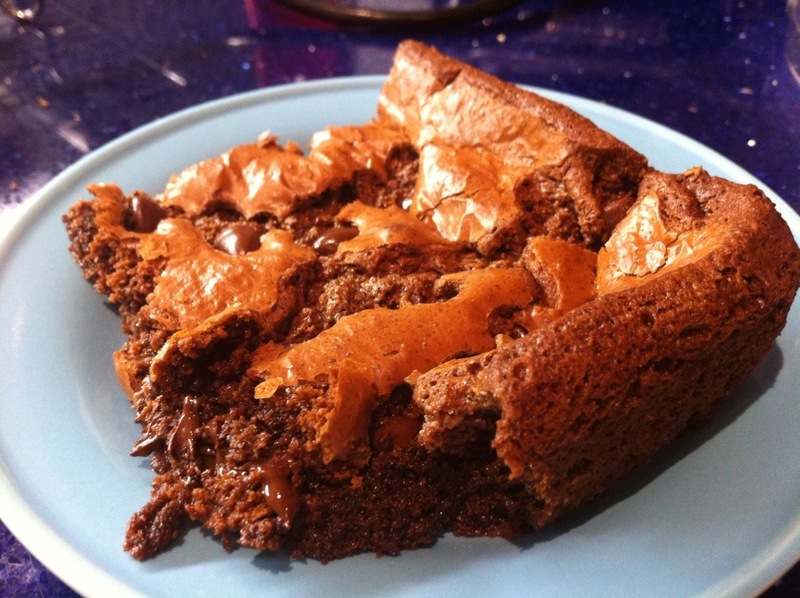 It’s my favourite brownie ever (gluteny or not!) and Nicole said it was the best brownie-from-scratch she’d ever had. The smell while they were baking was just tantalizing. Lately, every time the fiancé and I have been eating at our favourite restaurant (Cafe Belong, at the Brickworks where we are getting married next summer!! ), they’ve been baking something chocolatey for their cafe — and the smell has just been to-die-for. So I knew I wanted to bake something to recreate the chocolate-in-the-oven smell at home. 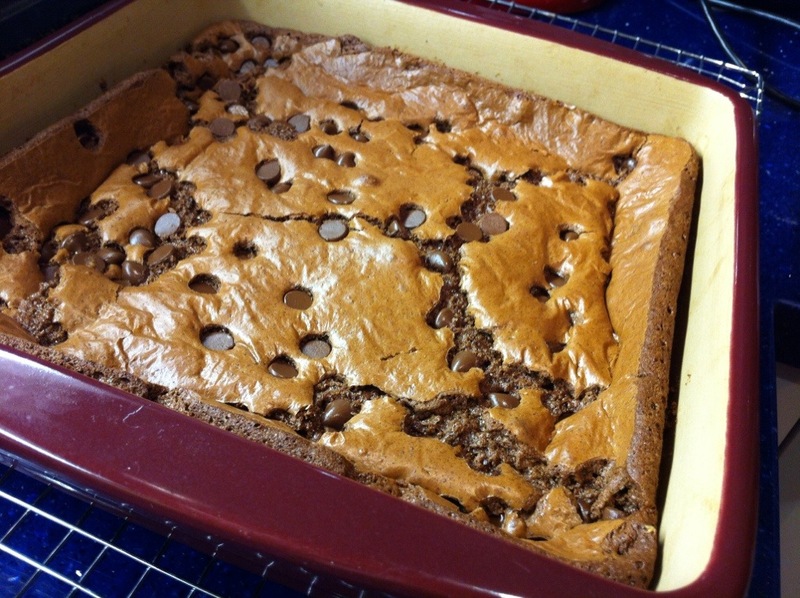 These brownies totally did the trick. We wanted to be a little festive, so we added some mint extract to the batter. Had we planned ahead of time, I would have put crushed candy canes on the top instead of chocolate chips. If you don’t want it minty, you can omit the mint. I’m going to experiment with an espresso version next time!! Prepare a baking pan (8×8″) by greasing it with coconut oil. In a small pot over low heat, melt the dark chocolate and coconut oil, stirring frequently. In a large mixing bowl or bowl of a stand mixer, whisk together the sugars, flours, salt and baking soda. Add the eggs, vanilla, mint oil, and melted chocolate/coconut oil mixture. Beat on low for two minutes, until the batter thickens and becomes glossy. Spread the batter into the greased baking pan, and smooth the surface with a spatula. Sprinkle chocolate chips over the surface, and gently press them into the batter. Bake at 350F for 30 to 35 minutes, until the brownies are set (the top will crack). Let cool on a wire rack. Cut into squares and serve. Yummy looking recipes which I’m determined to try, since I seem incapable of making brownies of any description. But also wanted to say good news about your upcoming wedding and best wishes for much happiness. isobel. Tried to leave a comment and it was erased. Isn’t wordpress irritating! !